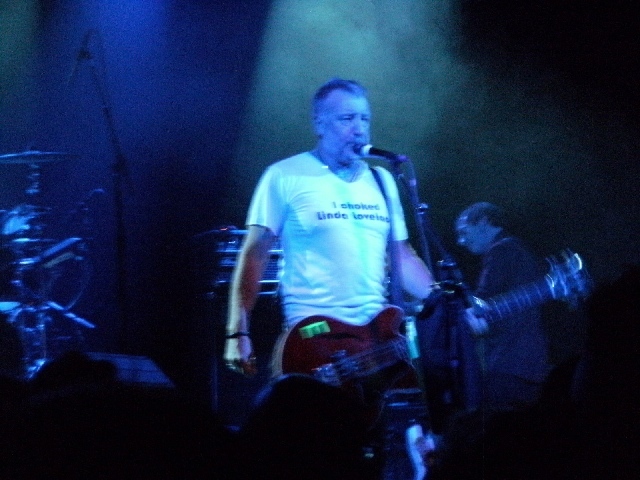 About a year ago, I caught Peter Hook and the Light’s show at Webster Hall in New York City. 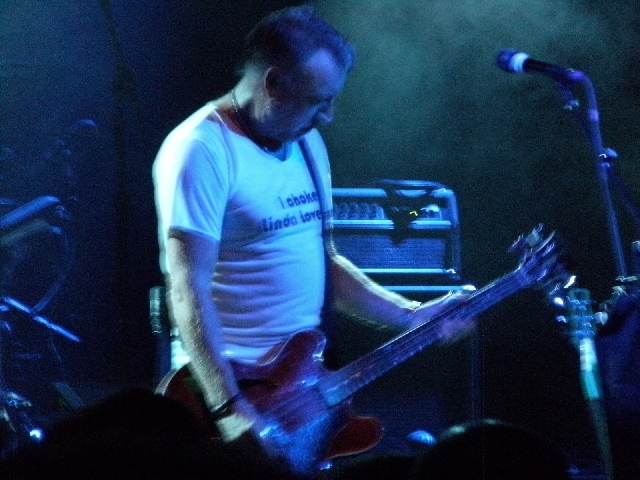 At the time, he and the band were performing all the songs from New Order’s first two albums, Movement and Power, Corruption and Lies in their entirety. At first, I didn’t really know what to expect and frankly I was a bit hesitant. I’m sure that I wasn’t the only one who felt that in a best-case scenario, Hook and the other members of New Order would bury the hatchet and become one again. Also, I wondered how Hook would be able to revisit New Order’s back catalog this time as a lead singer in addition to his bass-playing duties, since the songs have long been identified with Bernard Sumner’s wistful vocals. Safe to say, Hook and the Light’s performance at Webster Hall was really satisfying and I was pleasantly surprised that Hook was capable of being behind the mike. If anything, it was great to hear music from New Order’s early years that probably haven’t been performed in years—not just the popular hits but also deep cuts as well. 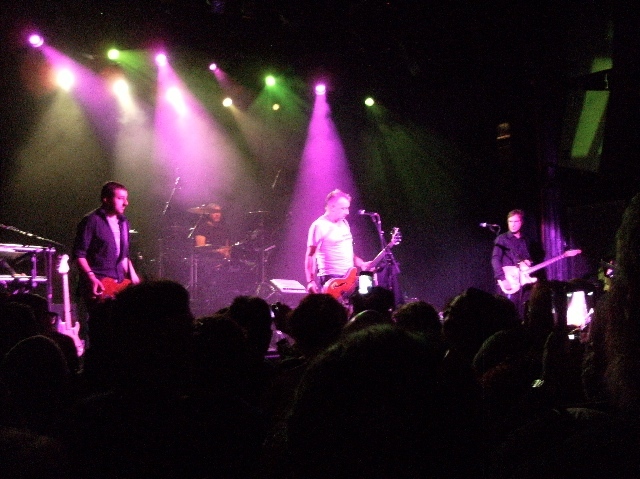 The same can also be said of Hook and the Light’s return to New York City, this time at a very packed Irving Plaza Friday for a performance of New Order’s third and fourth albums, Low-Life and Brotherhood. 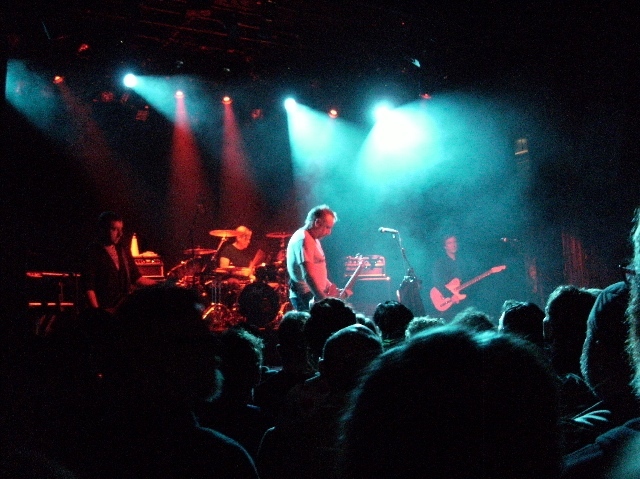 Whereas the first two New Order records still carried a trace of Joy Division’s post-punk DNA while pointing to a stylistic shift from that beloved band’s doomy sound, Low-Life and Brotherhood really cemented New Order’s reputation as an electronic dance/pop band. And dance and cheer the crowd did during the two-hour gig, that included some of the best-known tracks from the two albums, including “Love Vigilantes,” “Bizarre Love Triangle,” and the glorious highlight “Perfect Kiss.” Away from the electronic beats and programming, the band’s performances of some of the album tracks revealed a more raw and rocking edge than the original album versions such as on “ “Weirdo” and “Paradise” from Brotherhood. Overall, Hook and the band were in good form and really worked their asses off –there was no lengthy intermission or stoppage as they went straight from Low-Life into Brotherhood. And Hook’s mastery of the bass needs no explaining again. 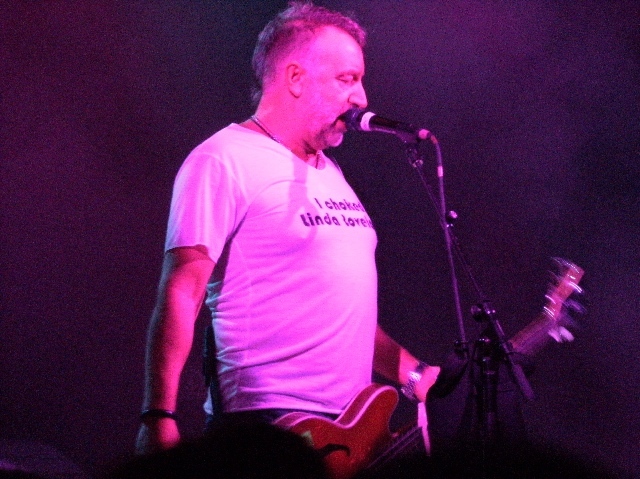 Opening for Peter Hook and the Light were….Peter Hook and the Light. They performed a Joy Division set that included such memorable band songs as “Ceremony,” “She Lost Control” and “Atrocity Exhibition.” While he certainly didn’t sound like Sumner on the New Order songs, Hook eerily channeled Ian Curtis quite convincingly at times with that deep voice of his. While it’s unlikely at this point the original New Order lineup will ever resurrect itself — let alone revisit these albums in this manner — Hook is keeping alive the Joy Division/New Order legacy on his own terms. For older fans who remember those earlier New Order albums fondly, or younger fans who never got to experience seeing the band live back in the ‘80s around those records’ release, this is perhaps the next best alternative. 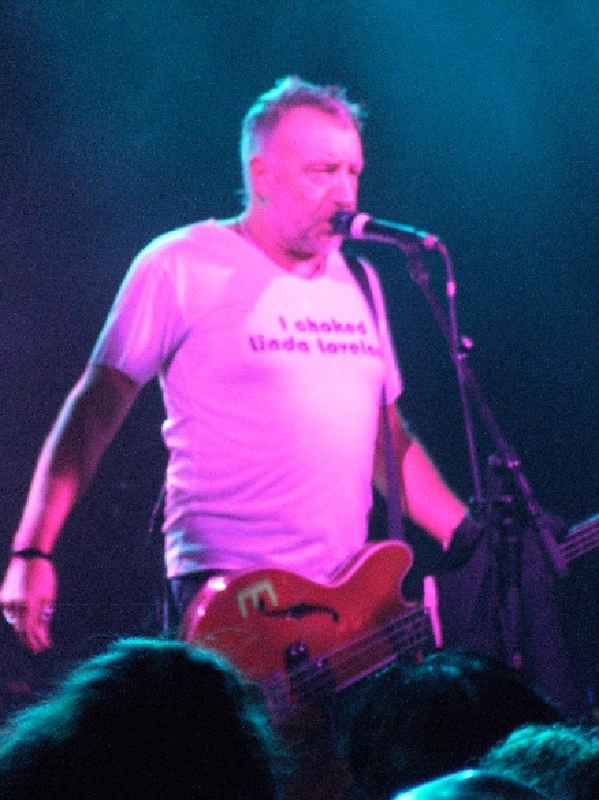 Post by Peter Hook & The Light.